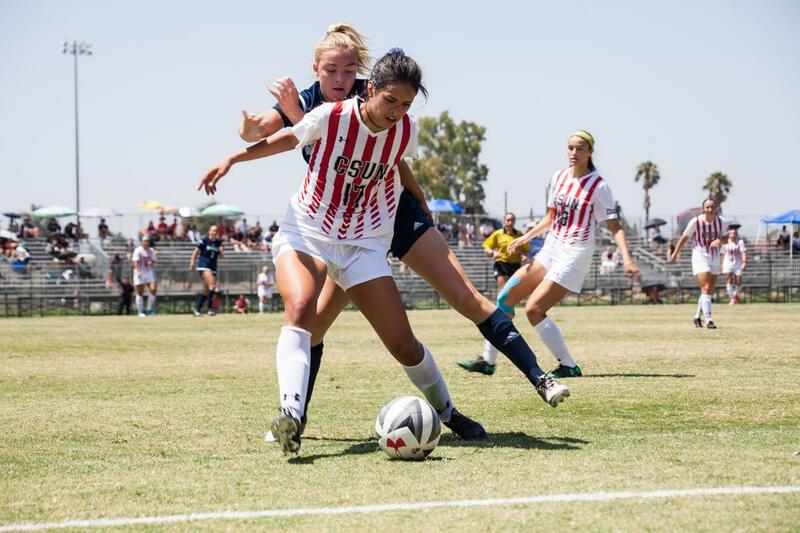 A new season for CSUN Women’s Soccer is underway, and after two games, the 2017 Big West runner-ups have posted a 0-1-1 record. The 2018 campaign began on the road against Illinois State on Aug. 16. Forward Bethany Fitzsimmons and midfielder Michaela Giordano both netted goals to gain a commanding lead before halftime, but the Redbirds forced extra time by answering with two goals of their own. With a draw, the Matadors set a school record for streak of games unbeaten with 10. 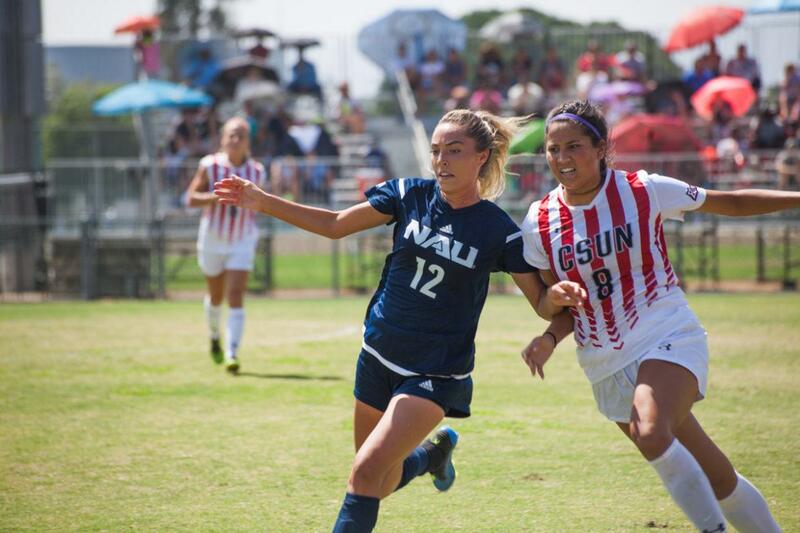 CSUN returned for the home opener to face Northern Arizona on Aug. 19. The Matadors battled through the heat, but came up short in a 0-2 loss to the Lumberjacks. Head Coach Keith West was very optimistic about the team’s future following the home loss. Taylor Thames, a freshman goalkeeper out of Gabrielino High School, has been in the net for the Matadors so far. She has a .789 save percentage after facing 30 shots in the first two games of the season. A key defensive player to watch this season is veteran redshirt senior, Lindsay Kutscher. Kutscher was named to the 2018 Preseason All-Big West First Team after recording conference team honors last season. Kutscher helped the Matadors record 16 shutouts in 2016, and eight more in 2017. Offensively, senior Marissa Favela should find the back of the net a handful of times after the midfielder led the team with a career best seven goals in 2017. Favela has also been named to the 2018 preseason conference team following her phenomenal 16-point season. The team is gearing up for a Big West title chase. 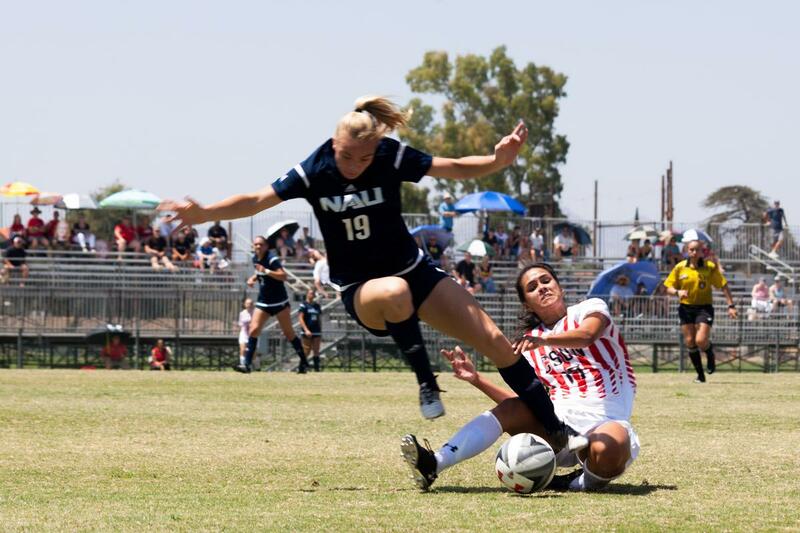 Sixteen players will return to the team including four All-Big West Conference selections. The Matadors have 17 more games this season, including four conference games at home before the Big West Tournament starts Nov. 1. The team will now travel north to face the Portland State Vikings Aug. 26 at 1 p.m.